A drawing is created for every design and product produced by Duckworth & Kent, and all these are controlled and administrated within the drawing office. Every element of the design is checked and approved before releasing for production, ensuring the product meets the standards for CE. A document revision control system is in place to ensure full traceability to design modifications and revisions. Our in house designer uses the latest 3D design tools available and works with the Research & Development Engineer to turn concepts into products. Our products are primarily made of titanium. The raw material arrives at Duckworth & Kent as a solid circular bar or flat sheet. The material is then batched numbered for traceability. Our workshop consists of a work force of highly skilled Engineers. Production is carried out by our various computer numerically controlled (CNC) machines. These CNC machines give us the ability to consistently manufacture high quality components. Much of the work on the instrument is carried out at this point. The majority of instruments require assembly when they arrive from engineering. Parts are assembled and the final finishing is carried out to create the instrument. The anodising and marking are the final processes to the instruments before final inspection and quality control. When the instrument is finished it passes through our automated cleaning cycle before the final inspection is carried out. Every instrument is inspected to ensure that it conforms to our tight tolerances, producing a product of the highest standard. The final stage is quality control. Every instrument is visually checked and tested, giving you the customer one of the finest instruments on the market. When your order is complete it is passed through our packaging department. We also have the facility for cleanroom packaging. Within the cleanroom the product can pass through the automated cleaning system, be visually inspected at high magnification and be packaged in heat-sealed airtight pouches. We have a large stock of finished instruments along with part machined components to enable quick response to customer requirements. Titanium was discovered in Cornwall, England, by William Gregor in 1791 and named by Martin Heinrich Klaproth from the Titans of Greek mythology. The chemical element, Ti, is widely distributed in the Earth’s crust and occurs within a number of mineral deposits, principally rutile and ilmenite. Extracting the metal from the mineral deposit requires enormous amounts of energy, care and time, a process that makes titanium expensive when compared to other metals like steel. The high strength, low weight, outstanding corrosion resistance possessed by titanium and titanium alloys have led to a wide and diversified range of successful applications which demand high levels of reliable performance in surgery and medicine as well as in aerospace, automotive, chemical plant, power generation, oil and gas extraction, sports, and other major industries. Because it is biocompatible, titanium is used in a range of medical applications including medical devices and implants. Implants, such as joint replacements that can stay in place for up to 20 years. The titanium is often alloyed with about 6% aluminium (Al) and 4% vanadium (V). Why use it in Medical Devices ? For centuries traditional hand held surgical instruments have been made from stainless steel. In the 1960’s, the aerospace industry embraced the benefits of titanium alloy and in the 1970’s a metallurgist advised the owner of Duckworth & Kent to consider titanium alloy (Ti 6Al-4V). Duckworth & Kent saw the advantages of working with this modern metal and moved away from manufacturing in steel. The new material proved to be very well suited to the requirements for surgical instrumentation, offering advantages such as no oxidation, non-magnetic , lightweight and yet extremely durable. The new metal required new techniques in manufacturing and Duckworth & Kent began to learn how to work with titanium alloy. Duckworth & Kent soon became a specialist in titanium manufacturing, pushing the metal to its limits to produce some of the finest, delicate and precise medical devices. Today Duckworth & Kent is regarded as one of the pioneers in titanium medical devices and a world specialist in manufacturing from titanium. Titanium alloy is naturally grey in colour, but our products come in a variety of colours. There are no dyes or paints in the colouring process, instead we change the properties of the surface of the titanium. The process is called anodising, whereby the titanium instrument is submerged in an electrolyte and an electric current applied. This creates a reaction with the titanium surface which changes the way light reflects back, giving the perception of colour. Blue is the most common colour, as it helps reduce the glare from coaxial microscope lighting. Titanium’s lightness is an advantage to the surgeon when handling instruments. Instruments are anodised to provide a non-reflecting surface, invaluable in microsurgical operations. 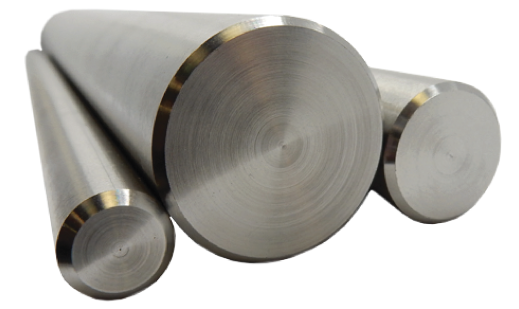 Titanium can withstand repeat sterilisation without compromising on strength, edge or surface quality. It is also corrosion resistant. Titanium is non-magnetic and therefore does not cause adverse reactions with other steel instruments or equipment.